Want to hear about our new products? Join our quarterly newsletter and learn more about our extensive product lines. Click the link below to sign up! Safe n Simple™ is a medical care innovator, specializing in the promotion of healthy skin, complete security and confident ostomy and wound care management. We view our product development through the eyes of our customers, who want active, productive lives unimpeded by their conditions. 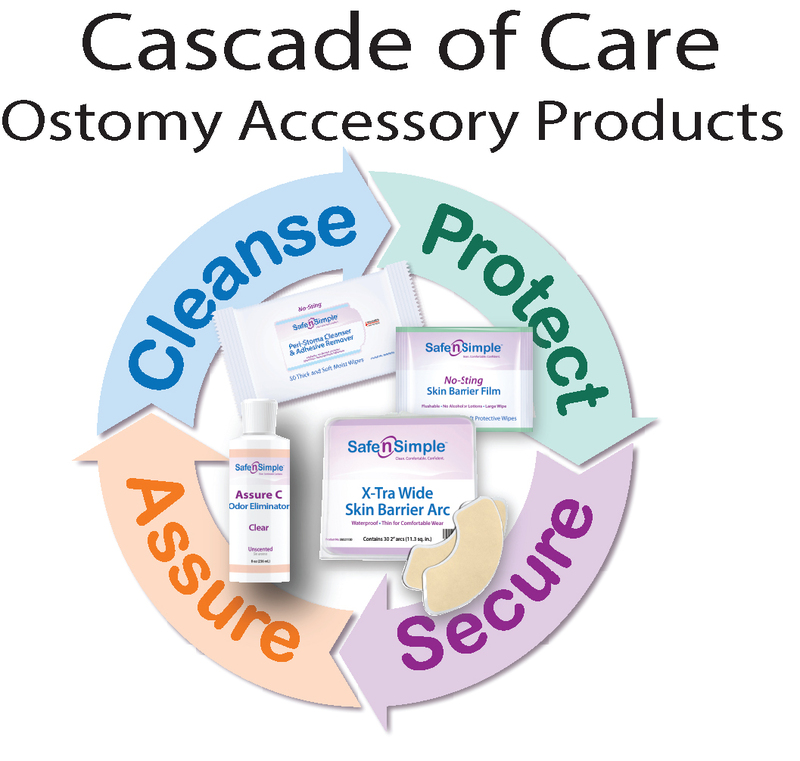 Our goal is to make our customer’s ostomy and wound care safe and simple. We follow two overriding principles: create innovative, high-performance products, and deliver the greatest possible value. We continually push our technicians to develop better ideas, more advanced formulations and superior products, while at the same time making those products convenient and affordable. We’ve spent years in Ostomy care learning from our customers what they really want. The result is a complete line of ostomate care products designed to Cleanse, Protect, Secure, and Assure. Now offering a complete line of wound care products created to promote healing and promote cost savings and also an expansive selection of security hernia support belts. Above all, our customers want safety and simplicity. With Safe n Simple™, that’s our promise. our distributor’s tab and select your distributor or click shop to access our online store. To contact us, please use the contact page, or give us a call. Copyright © 2019 Safe n' Simple. All rights reserved.